Every year during the holiday season, when families re-unite and take a breather from the hustle and bustle of the calendar year, a group of young musicians and seasoned judges get down to serious business at the the Midwest Young Artists Conservatory Fort Sheridan home base for the annual Walgreens Competition. 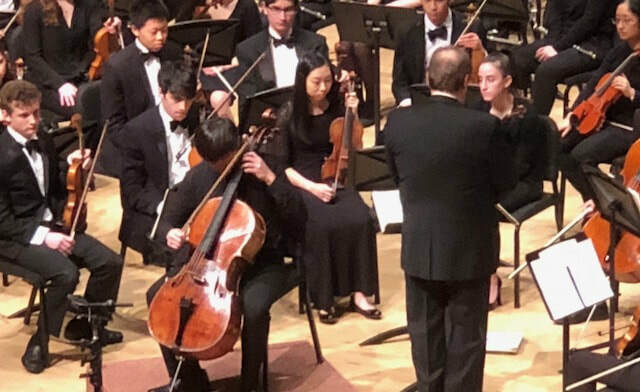 This event is a highlight of the competition circuit, and the MYAC Symphony Orchestra concerts in Pick-Staiger Concert Hall that feature two of the winners always stand out among the many youth orchestra performances in the Chicago area. The winner of the Overall Open Division was James Baik, a senior cellist at New Trier High School and student of Hans Jensen. His performance of the first movement of the Schumann concerto was so utterly assured that one had to continually remind oneself of his young age. This concerto is considered more intimate than some other cello concertos (Dvorak, Saint Saëns, Elgar, etc. ), but Baik’s interpretation was muscular, full-blooded and profoundly extroverted. I can’t remember hearing a cellist of his age with such a vigorous, penetrating sound and intense, fully formed vibrato. The rapid-fire scales and other technical challenges were so easily vanquished that one could take them for granted and focus on the rhapsodic sweep of his interpretation. Balance can sometimes be an issue in this composers’ orchestration, but conductor Allan Dennis kept his forces in check while the cellist’s tone sailed effortlessly to the back of the hall. Mr. Baik is one to watch. Bartok’s Viola Concerto from 1945 was his last major work, but the composer was unable to finish it due to failing health. His good friend Tibor Serly produced a finished version a few years later, but a newer one edited by the composer’s son Peter and violist Paul Neubauer was the one chosen by Dr. Dennis for this performance. Senior violist Ezra Burca, winner of the MYAC Senior Division and student of Desiree Ruhstrat, was the superb soloist. One doesn’t often encounter the works of Bartok in competitions for young musicians, but Burca’s dramatically urgent and deeply focused account of the first movement of the composer’s Concerto for Viola made a case for more frequent entries. The movement begins with the violist’s lyrical lines with only a barebones accompaniment. Burca drew a lovely, burnished sound from his instrument, and seemed entirely comfortable with the awkward passagework. The cadenza was beautifully shaped, with the difficult double stops coming off without a hitch. The orchestra provided precise, supportive accompaniment, with bassoons and double basses being especially noteworthy. ​Leonard Bernstein’s 100th birthday last year provided a good excuse (if any were needed) to survey the American composer’s most beloved works. Among his more substantial orchestra works, the Symphonic Dances from West Side Story are easily the most programmed. This collection may not pack the virtuosic wallop of some of MYAC’s other orchestral ventures recently (Stravinsky, Strauss, Prokofiev, etc), but any convincing performance stands or falls on the understanding of the stylistic idiosyncrasies. On this point, the orchestra was spot-on. Dr. Dennis captured the angular, swinging, and sultry spirit of the prologue with idiomatic aplomb, finger pops and all. Here and elsewhere, MYAC’s tireless percussion section drove the action hard. “Somewhere” is one of the composer’s most seductive tunes, and the orchestra’s strings excelled in carving out the melodic contours. Allan turned to the house a couple of times in “Mambo” to encourage audience participation, and trumpets (muted and otherwise) dug into the theme with raucous abandon. The string pizzicatos in “Cha-cha” were perfectly coordinated with the woodwinds, and concertmaster Christopher Gottardi-Littell gave a lush account of the violin solo. The “Cool fugue” has never sounded cooler, and the menacing “Rumple” reached for the rafters. A full minute passed in silence after the finale, so moved were the parents by the poignant performance. The concert opened with a robust account of Festive Overture by Shostakovich, a crowd favorite and an uncharacteristically cheerful work by the Russian master. Its’ popularity with youth orchestras is due in part to orchestration that allows nearly everyone in the orchestra to shine. With virtuosity to spare in every section, Dr. Dennis lead an ebullient, driving reading that delighted the audience from start to finish. The superb trumpet section signaled a musical call-to-arms that was picked up with elfish charm by clarinetist Eric Butler. Swirling flutes in octaves, led by principal Cecillia Gao, lead to a bold statement of the main theme by the splendid violins. Low brass and cellos excelled in their time in the spotlight, and the busy percussion section kept the ensemble in tight synchronization. 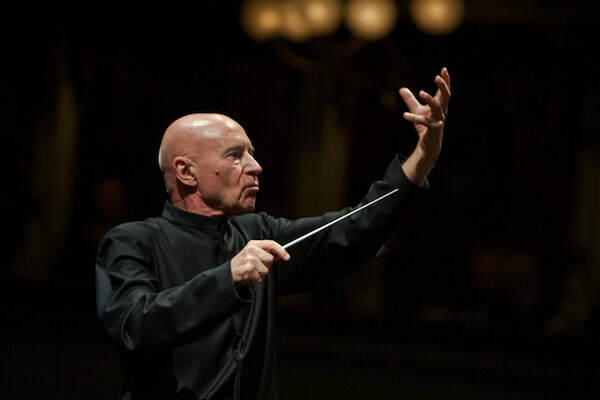 Michael Cameron, Chicago Classical Review: Glover Leads MOB in "Christmas Oratorio"
The Lang Lang International Music Foundation is now in its second decade of extraordinary public service, including the establishment of partnerships with organizations dedicated to instilling a drive for musical excellence in young people across the globe. None of these collaborations has been more fruitful than their partnership with Midwest Young Artists Conservatory. Each summer in August, MYAC plays host to several of these remarkable young pianist/scholars for week, making music, breaking bread, and engaging in every manner of cultural exchange. Normally there are a few holdovers from previous summers among the soloists, but this year all eight were newcomers. Conductor Allan Dennis was at the podium Sunday afternoon once again with his MYAC Symphony Orchestra at Pritzker Pavilion in Millennium Park, introducing budding pianists and engaging in conversation with each before launching into selections from several canonic piano concertos. The students shared thoughts about their time in Chicago, from card-playing with fellow scholars to the enormous portions of food served up Midwest style. Before the soloists took to the stage, Dr. Dennis led his orchestra in an ebullient account of Mozart’s Overture to The Marriage of Figaro. The statements of the snaking theme in octaves were neatly rendered by the orchestra’s superb woodwinds and strings. It was a perfect appetizer before thoroughly compelling performances of the last two movements of Mozart’s Piano Concerto No. 23 in A Major. 13-year-old Hong Kong native Wilson Lung gave a polished and remarkably flexible reading of the Adagio, adopting a leisurely tempo that allowed him to tenderly sculpt the composer’s poignant, singing lines. Shuheng Zhang, hailing from Michigan, gave an invigorating, incisive, and note-perfect account of the finale, establishing an agreeable report with Dr. Dennis as they exchanged pleasantries in the composer’s conversational rondo. Victor Shlyakhtenko, a 16-year-old award-winning artist from Los Angeles, already has performances at Walt Disney Concert Hall and Carnegie Hall to his credit. He gave a winning performance of the Andante of Mendelssohn’s Piano Concerto No. 1 in G minor, spinning long melodic lines with warmth and tenderness.The finale of the concerto is unabashedly virtuosic, with fist-fulls of blistering passagework and rapid-fire octaves. It stretches credulity to imagine a 12-year-old taming this monster, but Katerina Cheung of Hong Kong did just that, delivering immaculate scales with a robust sound, all while maintaining a crystalline transparency so necessary in the composer’s scores. Saint-Saens’ Piano Concerto No. 2 bears some kinship with the Mendelssohn piano concertos (and shares the same key as the second), with its quick, boisterous arpeggios and ample melodic charm. And like the Mendelssohn, it was written in a comparative flash, over a three week period for the occasion of Anton Rubenstein’s conducting debut in Paris. While the composer famously disliked the concerto, it has become one of his most popular works. 13-year-old Chicago native and current Juilliard Pre-College student Aliya Marie Alsafa ably demonstrated its appeal, capturing the movement’s wit and joie de vivre with apparent ease. The final three students in the showcase each performed a movement of another popular warhorse of the repertoire, Grieg’s Concerto in A minor. It was the first piano concerto ever recorded (in 1909), and was the only concerto completed by the composer. Though written at the tender age of 24, Grieg made revisions throughout his life, the last ones coming just a few weeks before his death. Folk elements abound in its melodies, and perhaps because of the outdoor setting for this concert, these qualities seemed amplified on this occasion. From the opening timpani roll and the cascading keyboard octaves, 16-year-old New Yorker and Juilliard Pre-College student Jeffrey Chin had the full measure of the opening movement. He coaxed a full-throated sound from the concert grand, capturing Grieg’s grand gestures in impassioned outbursts. After tranquil and hushed opening bars from the orchestra’s muted strings in the opening bars, Carey Byron (age 14) presented a searching, warm reading of the Adagio, tracing the melancholy melodic contours with grace and sensitivity. It’s little wonder that the Los Angeles native has picked up numerous prizes, including first prize at the Los Angeles Young Musician International Competition and second prize at the American Protégé International Competition, the latter leading to her debut in Carnegie Hall. It was up to Jasper Heymann to close out the Grieg, and he rose to the occasion with an impassioned delivery of the final Allegro moderato. From the blistering opening flourishes to the breakneck pace of the first bristling melodies, the 15-year-old New Yorker and multiple competition winner was if full command, delivering a dazzling performance that brought the audience to their feet. Dr. Dennis chose to conclude the program the same way it began, with an engaging reading of a seminal opera overture. He lead the young ensemble in a glowing, atmospheric account of Weber’s Overture to Der Freischütz, an influential opera from 1821 that foreshadowed many characteristics of the looming Romantic style. The work is as much a tone poem as it is an overture and, as in the Grieg concerto, Dennis underlined the vivid folk references that inform much of the music. Special kudos to the horn section - their mellow, gleaming sound set the stage for an evocative performance that drew a justifiably enthusiastic response from the audience. Once again, listeners no doubt had to remind themselves repeatedly that the musicians on stage were students, not professionals, so thoroughly engrossing were the performances. Fresh off its remarkable 25th anniversary concert in Orchestra Hall this past December, where 300 or so current and former students celebrated in high style, the MYAC Symphony Orchestra was back to its normal routine, presenting its annual winter concert at Pick-Staiger Concert Hall in Evanston. But with appearances by two extraordinary young winners of the 2017 Walgreens Concerto Competition, there was nothing remotely routine about the affair. The first of the two winners to take the stage was 14-year-old pianist Joshua Mhoon, the overall winner of the open senior division of the competition. The Hyde Park native has made a name for himself in short order, with an earlier win in the 2015 Walgreens Competition, a guest spot with the Chicago Sinfonietta, and appearances at the Ravinia Festival, United Center, Pritzker Pavilion, Kennedy Center, Lincoln Center, and many other notable venues in Europe. Mhoon’s winning piece was Rachmaninoff’s Piano Concerto no. 2, of which he treated the audience to a riveting account of the third movement. After Dennis led the orchestra in the delicate opening bars, Mhoon ripped into the opening piano bursts with bravura and panache, traversing much of the keyboard in a flash with fluid accuracy and an assertive sound. He didn't appear to have particularly large hands, yet he seemed to have little problem spanning the composer’s notoriously wide chords. Of the Russian composer’s many famously memorable tunes, none are more beloved than the long winded melody that appears a few minutes before the end of the concerto. The pianist had the full measure of it, sculpting the theme with a maturity rarely encountered in someone of such tender years. The following section again showed remarkable prestidigitation, the bulky chordal work not only rendered accurately, but with keen attention to voicing. The final statement of the melody was beautifully drawn by Dennis and his forces, and Mhoon brought the movement home with the appropriate swagger. Cellist Adam Lee is no stranger to Midwest Young Artist Conservatory, being a student there himself. A native of South Korea, he studies with legendary pedagogue Hans Jansen and is currently a senior at Vernon Hills High Schools. He has excelled as a chamber musician, appearing most notably in the Fischoff National Chamber Music Competition. But on this night he took center stage as soloist in the first cello concerto of Dmitri Shostakovich. The third movement is in the unconventional form of an extended unaccompanied cadenza. One might expect impatience from a young player like Lee when unimpeded by a conductor and orchestra. But his strategically deliberate pacing worked wonders, drawing attention to a wide range of color and dynamics. Lee’s technique was masterful throughout the range of the instrument, whether sustaining a singing tone or traversing the composer’s full range of chords and double stops. The transition into the finale steadily gained in intensity, and the opening bars were shot through with sardonic ferocity. Balance inequities are hard to tame e in this movement, but Dr. Dennis kept the textures sufficiently transparent for all voices to come through. The concluding pages were an exercise in controlled fervor, and the audience leapt to its feet at the bristling conclusion. Like most American orchestras, Dennis chose to honor the 100th birthday of Leonard Bernstein with his most beloved short work, the overture to Candide. Like their performance in Symphony Center in December, it was a sparkling rendition, with piccolo player Meredith Golding one of the many in the woodwind section contributing some of the more memorable passages. Woodwinds were at the forefront of the concluding work in the program, excerpts from Ravel’s ballet Daphnis et Chloe, Suite No. 2. The long crescendo in the opening movement, Lever de jour, (“daybreak”) was beautifully paced by Dennis and his forces, and the gurgling of the superb woodwinds (led by principal flutist Jonathan Wu and principal clarinetist Samuel Perlman) brought Ravel’s technicolor score to life in vivid hues. Oboist Chloe Cardanas spun lovely lyrical phrases in Pantomime, and Wu excelled with exquisite tone color and breath control in the extended flute solo. The orchestra’s violins sounded as polished as ever in the shimmering chords and darting motivic jabs. The orchestra was joined by the fine singing of three of MYAC’s choral groups, Voices Rising, VocalPoint, and VX Ensemble, and their expressive voices soared from the rear balcony through the orchestral textures. Lower strings, and percussion, and percussion brought the luminous score to a grand finale. Symphony Center subscribers were no doubt crestfallen when the megastar duo of violinist Itzhak Perlman and pianist Martha Argerich cancelled their spring American tour. Even though Perlman’s best years are well behind him, the match offered intriguing intriguing possibilities for musical fireworks. 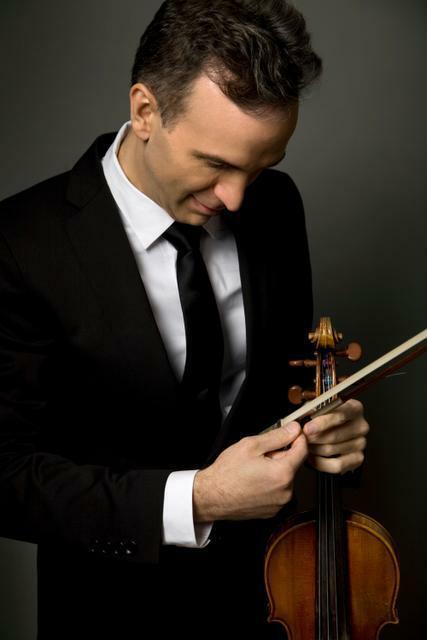 Judging by the reaction to their replacements, the audience felt they got their money’s worth with a varied program offered up by violinist and Illinois native Gil Shaham and pianist Akira Eguchi. The performances were well-executed and thoughtfully realized, and Shaham deserves credit for mixing some modern curveballs in with a healthy dose of standard repertoire. Legendary violinist Fritz Kreisler’s Praeludium and Allegro (“In the Style of Paganini”) is meat and potatoes repertoire in violin pedagogy, but these days few big league violinists dust it off for the concert stage. It’s a beguiling work, and Shaham seemed to channel the playing of the master with the lush tone and sensuous portamentos of a by-gone era. Kudos to the duo for thinking outside the box with the inclusion of two substantial works by contemporary American composers. The subtitles suggest the presence of musical references from Turkey and the middle east, but Scott Wheeler’s “The Singing Turk” (Sonata No. 2) from 2017 took inspiration instead from Larry Wolf’s book of the same title. The author muses on the the fascination for Turkish characters in European operas, and each movement of the sonata is based on specific personalities. The first movement, “Su la sponda”, includes a quotation from Handel’s Tamerlano in which an imprisoned Turkish ruler sings to his daughter before committing suicide. Pointillistic gestures and single note ostinatos open the movement before neo-baroque harmonies mark the appearance of the theme. The second draws on the 1761 opera The Three Sultanas by Paul-César Gibert in which Roxelana implores Suleiman the Magnificent to “defend yourself from becoming the slave of two beautiful eyes.” A passacaglia opens the movement, eventually sharing space with variations on Gibert’s aria. If the first two movements meander unconvincingly, the tightly constructed perpetual motion finale (drawn from Rossini’s Il Turco in Italia) hits its mark with Eguchi and Shaham opening in muted colors before surging ahead with ever more virtuosic dialogue. Avner Dorman’s “Nigunim” (Sonata No. 3) explicitly draws on non-Western elements, fusing material from various sacred and secular Jewish traditions with non-Jewish components from the same regions. The most well-known reference to the nigum tradition in the violin repertoire comes from Bloch’s Baal Shem, and Dorman’s musical idiom can be heard as a modern extension of that composer’s evocations of Jewish musical traditions. The redolent opening movement unfolded with sustained drones, piquant dissonances, and impassioned outbursts from both players. Georgian folk music was the impetus for the second movement, a scherzo of sorts, and the duo had great fun with the metric incongruities and flights of virtuosic fantasy. The muted opening of the third movement briefly suggests the listless phrase structures of Morton Feldman before submitting to more conventional lyrical impulses. Moto perpetuo is again the preferred texture of this finale, with Shaham’s perfectly executed rapid-fire double stops and Eguchi’s disjunct chordal outbursts combining for an explosive realization. Inspired by Macedonian dances, echoes of Prokofiev and early Stravinsky pepper the score, and all of the cliches of middle eastern traditions are eagerly harvested. But for all of these references, Dorman has crafted a distinct personal style, and his idiomatic way with both instruments make for an easily accessible concert duo. Bach’s E major Partita for solo violin was effectively dispatched by Shaham, and he mined his trademark tonal polish and effortless virtuosity to good effect in the opening prelude. But the remaining dance movements were a decidedly mixed bag, his penchant for nearly uninterrupted legato and unvaried articulations obscuring Bach’s clearly delineated architecture. He occasionally employed hushed dynamics to good effect, and his tasteful ornamentation in the Gavotte was artfully applied. But run-on sentences were the norm, lending his account an air of impatience that was exacerbated by the absence of even the smallest pauses between movements. There is no more standard concert fare than Franck’s Sonata in A major, but Shaham and Eguchi managed to bring a freshness and vigor to the oft-trodden score. The understated opening bars in the first movement were vividly contrasted by the lyrical eruptions that followed, while the second unfolded with barely concealed fury. There was a distinct operatic intensity to the third movement Recitativo-Fantasia, and the finale’s outpouring of sunny melodic gestures in canon lead to heroic final pages. Their partnership throughout was seamless and soulful, though there were occasions when Shaham remained in the foreground when the primary material was assigned to the piano. “The Graceful Ghost Rag” by William Bolcom was the pleasant if mildly lethargic encore.